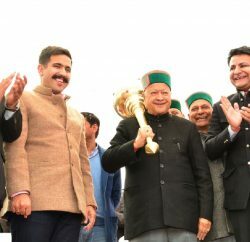 Virbhadra Singh said that the last meeting of this Sainik Welfare Fund was held in the year 2005 and no meeting was conducted during the previous Government regime. He said that 52 families of martyrs of ‘Operation Vijay’ in Kargil have been given ex-gratia of Rs. 5 lakh each, 17 disabled soldiers have been given ex-gratia on account of their disabilities while 38 dependents of martyrs have been provided employment and 9 disabled soldiers discharged from Army have been re-employed. Chief Minister said that a corpus fund of Rs. 2 crore has been established for establishment of War Museum at Dharamshala and services of expert architect would be taken to make it attractive and beautiful. The Committee gave ex-post facto approval to the expenditure incurred Rs. 3 crore, 94 lakh 68, 400 from July 2005 to January, 2014. The balance amount 4 crore 73 lakh 94,411 was available with the Chief Minister Sainik Welfare Fund for further expenditure. Chief Minister stressed the need of making efforts to raise this fund as the expenditure under this fund was being getting depleted day by day. He said that industrial houses and other potential sectors should be associated to make contributions to this fund as it serve the Martyrs and Ex-servicemen who had given their prime life for the motherland. Social Justice and Empowerment Minister Dr. Col. Dhani Ram Shandil who also hold the portfolio of Sainik Welfare Department welcomed the Chief Minister and other officers and non-official members in the meeting and detailed about the various activities being carried out under the CM Sainik Welfare Fund and the financial assistance given under this fund. Non-official Members Brdg. Rajinder Rana, Col. D.C. Lagwal, Major Jai Krishan gave their valuable suggestion to strengthen the activities under this fund. 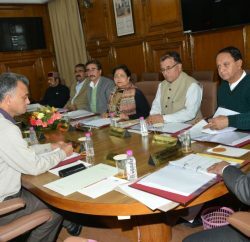 Acting Chief Secretary P. Mittra, Principal Secretary Finance Dr. Shrikant Baldi, Member Secretary Harish Negi and other officers were present in the meeting.